NO HUMAN NO! I BATHED TODAY ALREADY! WHY DON'T YOU USE THAT ON YOURSELF? 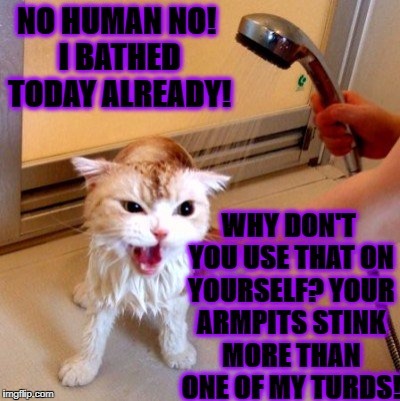 YOUR ARMPITS STINK MORE THAN ONE OF MY TURDS!